At first, I tried to read the specific WMI tree, but I wasn’t able too, so I started to look for the newest App-V Version available, and to my surprise, the Application Virtualization Version 5.1 was already released in August 2015 (https://technet.microsoft.com/en-us/library/mt346500.aspx). 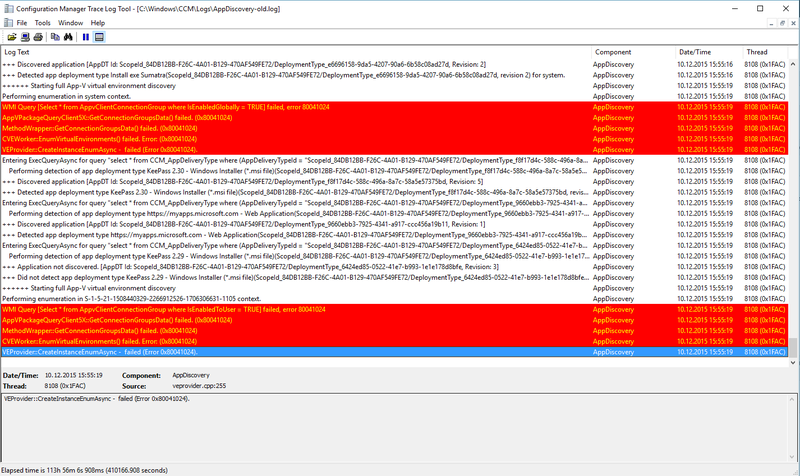 Windows 10 is not supported in versions of App-V prior to App-V 5.1. After updating my App-V Client to the newest version, everything was working as expected again.